You may remember a time where the numbers on the back of luxury cars actually corresponded to something. That time is generally gone. 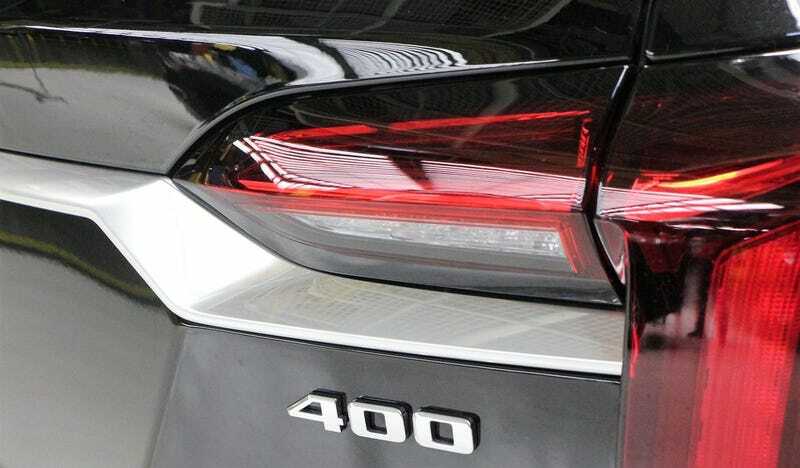 But now, Cadillac, a company with absolutely no problem connecting with American car buyers, will introduce a new badge system that won’t be confusing at all. You see, it uses the metric system. I’m sure we are going to love it. The Detroit Free Press recently had a story that highlights how Cadillac is reinventing itself as a brand. The New York office is now officially moved to Metro Detroit, and Steve Carlisle, the president of GM’s luxury brand, explained to the Freep how the automaker is making a major shift to EVs. We reported a while back that Caddy has a lot of work to do it it will once again become a serious player in the luxury field. Buried at the end of the article was a quick bit about how Cadillac will introduce a new numerical badging system to their cars starting in 2020. All cars except the V-series models will have a number that indicates the torque figure, in newton meters. Typically, American car makers rate their torque in lb-ft, the newton meter rating is what is found globally however, since it’s based on the metric system. The new badges will appear on the all-new XT6 crossover. It’s almost as if Cadillac is planning on selling a significant number of cars in a market that uses metric, like say, China. Audi does something similar, but its metric based badges are only on global market cars, whereas Cadillac is going to roll out this labeling scheme in the American market. Let’s just imagine for a moment a conversation between an American car buyer and your typical Cadillac salesperson regarding the newton meter badging. I’m sure this is going to work out swimmingly for Cadillac dealerships.